Chinese Guardian Lion Pair (Foo Dog), 26in x 40in x H73in. Chinese Guardian Lion Pair (Foo Dogs) 6-FT Tall, 40in long x 26in wide. 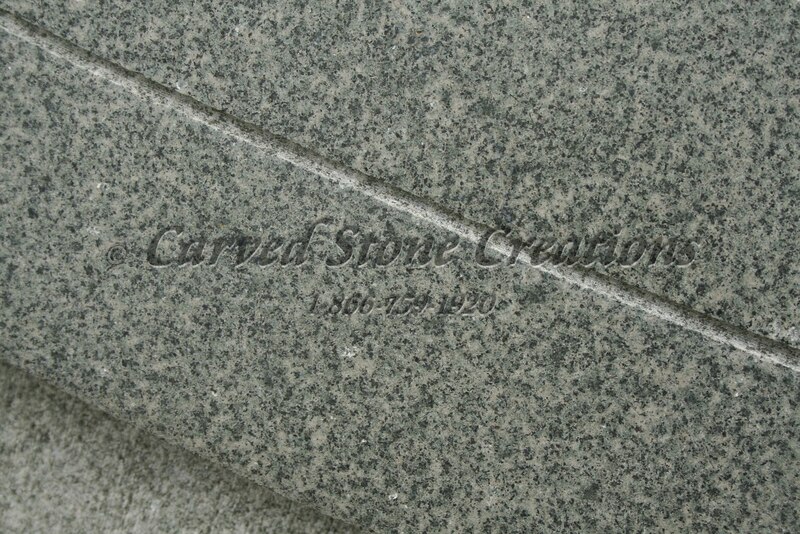 Carved from Mermaid Green granite. Statues of guardian lions have traditionally stood in front of Chinese Imperial palaces, Imperial tombs, government offices, temples, and the homes of government officials and the wealthy, from the Han Dynasty (206 BC-AD 220), and were believed to have powerful mythic protective benefits. The lions are usually depicted in pairs. When used as statuary the pair would consist of a male leaning his paw upon an embroidered ball (in imperial contexts, representing supremacy over the world) and a female restraining a playful cub that is on its back (representing nurture).